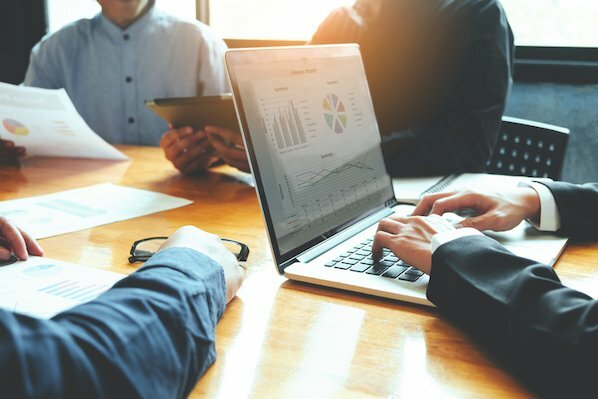 Find out how to be really good at marketing in 2020. Let’s just come out with it: Email is becoming less effective for marketers. It might not be dead yet, but it’s not exactly the shiny new channel it used to be. 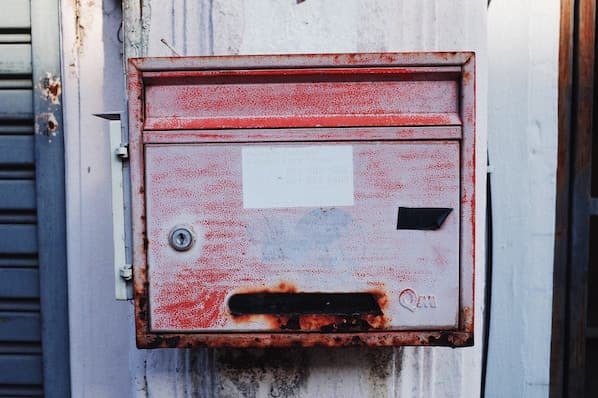 Just think about your own inbox -- how many marketing emails are you subscribed to that you delete without opening? We thought so. It was with this in mind that we started experimenting with messenger apps. Facebook Messenger boasts 1.2 billion monthly users -- clearly there’s appetite for the channel. Could this be a replacement for email? We decided to find out. Here are three ways we’ve experimented with using Facebook Messenger instead of email in our marketing, along with early results (Spoiler: Get excited). Our demand gen team sends out emails on a regular basis featuring new content offers our audience might be interested in. 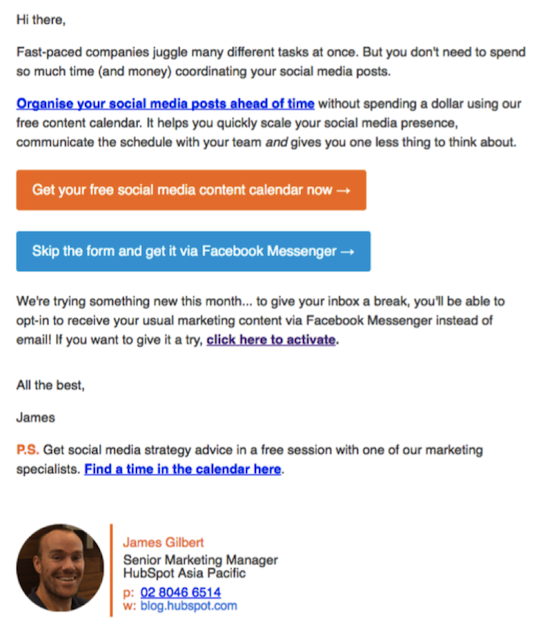 These content offers are typically gated behind a lead form. After completing the form, the prospect is able to access the content immediately, and we also send an email with a PDF copy attached for easy reference later on. We gave readers two options: to submit the form and receive the content immediately and via email -- the traditional way -- or to skip the form and get immediate access to the content in Facebook Messenger instead. Approximately 20% chose this latter option. We then sent regular Messenger broadcasts to the people who had opted in, suppressed them from email sends, and studied their behavior. After four weeks, the engagement metrics of the two channels showed a clear winner. 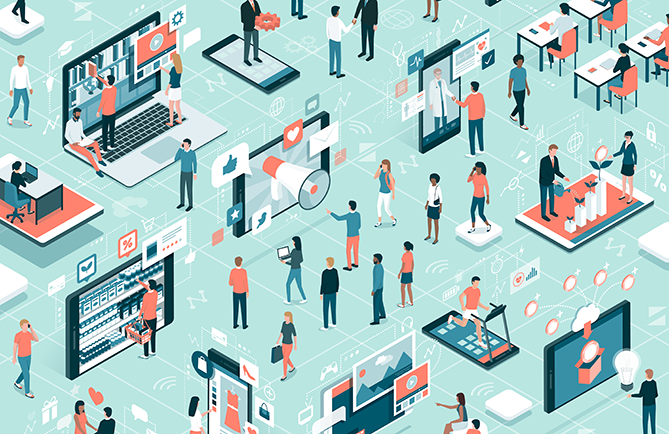 Takeaway for marketers: As a content delivery and consumption channel, Facebook Messenger delivers in terms of engagement. Have you ever tried to send an email to event attendees with important information? If so, I’m guessing you didn’t see great open or clickthrough rates. When people attend a conference or another type of in-person event, they’re typically off email and in learning and networking mode. But they do have their phones on them -- to check the agenda, answer texts and calls from other people on site, and follow live social streams. 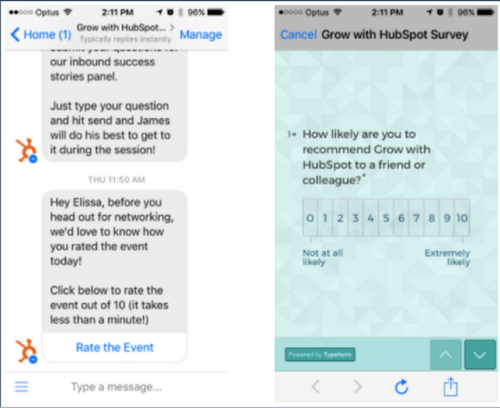 We hypothesized that Facebook Messenger might be a better way to get event attendees’ attention during our Grow With HubSpot Melbourne event. We decided to include a link to Facebook Messenger in our attendance confirmation emails, as well as place physical Facebook Messenger scan codes on seats at the event. Attendees could simply scan to start receiving real-time information and updates via the app instead of email. 1) Sales bot. If attendees confirmed their attendance inside Messenger, we set up a bot that would send an automated message on behalf of their local sales rep. The message contained a HubSpot Meetings tool link to the rep’s calendar in case the attendee wanted to set up time onsite. The raw number of meetings booked isn’t astronomical, but the percentage by enrolled attendees is significantly higher than similar messaging via email. That percentage increases when we add in the number of meetings booked before the day of the event as well as afterwards. It’s also worth considering that these meetings -- with highly qualified prospects -- wouldn’t have happened if not for our Messenger usage. 2) Real time NPS. We asked attendees to rate their experience at GwH Melbourne via Messenger. The response rate was significantly higher than email controls. 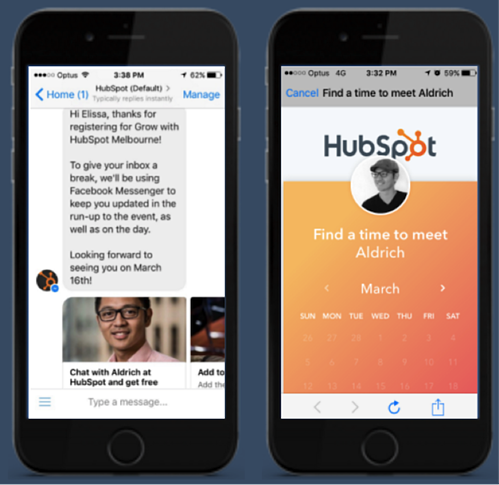 Takeaway for marketers: Instead of using email to communicate with attendees onsite or direct them to take a specific action, try Facebook Messenger instead. One of Messenger’s greatest strengths is how it seamlessly connects offline and online engagement. Our team has a set budget for Facebook ads every month, which we typically use for lead generation. Our ads generally feature a piece of content interesting to our target audience. When someone clicks, they are taken to a landing page with a form. Filling out the form gives them access to the content immediately, and also triggers a follow up email with a PDF version attached. This experience is less than ideal since the person has to leave Facebook to receive their content. We started thinking -- what if the entire process, click to content delivery, happened in Facebook? Once the questions had all been answered, the bot then provided a link to the content within the message. The results here were even better than we anticipated. We saw a staggering 477% reduction in our cost per lead, while lead quality only slightly decreased. Takeaway for marketers: It might take a little muscle to build a Facebook Messenger bot to collect lead information, but the effort is well worth it. 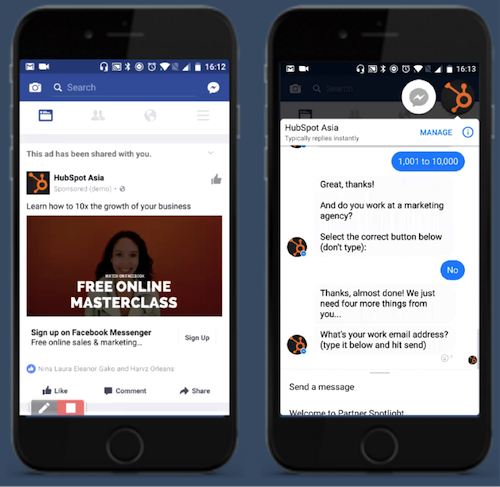 Use Facebook ads plus Messenger as a powerful one-two punch. We’re big believers in the power of Facebook Messenger and other messaging apps. Next up for us is a similar content delivery test in our North American market, studying how the order of questions impacts Facebook Messenger “form” completion rate, and creating a more seamless sync between the app and our HubSpot portal. 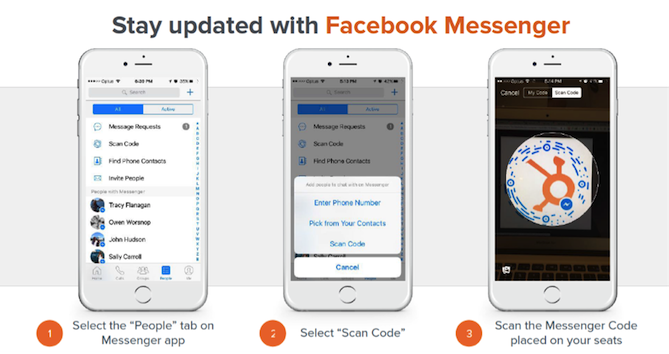 Have you been testing Facebook Messenger in your marketing? If so, what results have you seen? Share your experiments and insights with us in the comments below.